The first thing every wizard needs is the perfect wand. They say that you don’t choose the wand but the wand chooses you. Well, if that is the case then we’ve got a wand that’s got your name on it. 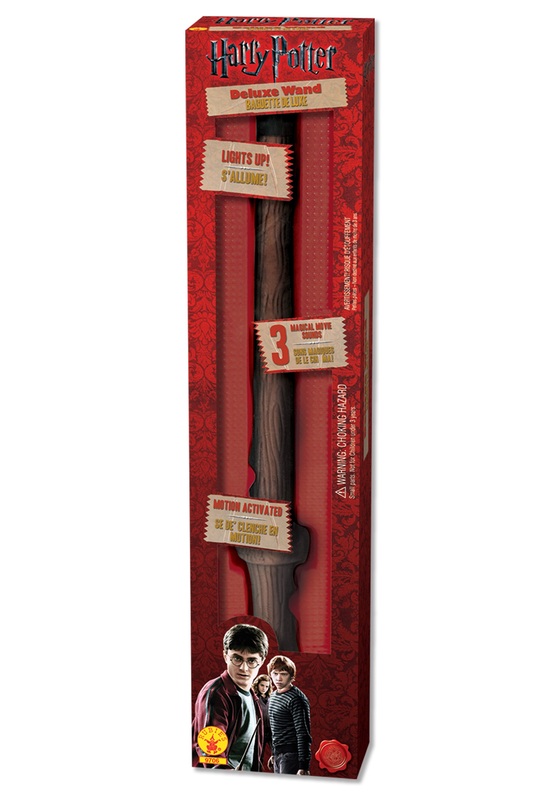 It doesn’t literally have your name on it but we know that we’ve got the wand for you! Be careful when opening it, it may just fly right out of the packaging. Chances are, it will be super psyched about being used in amazing wizard adventures. Get ready to learn all about defense against the dark arts. If you’re having trouble getting your Patronus down, don’t worry. 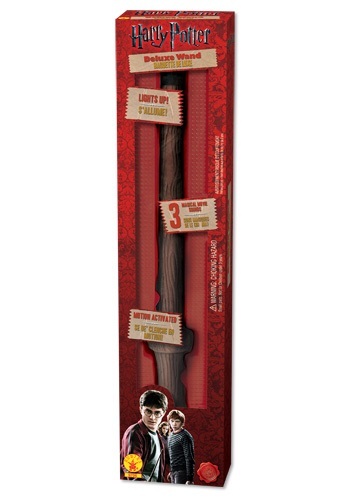 This replica wand even lights up and makes sounds so you can at least give the illusion of magical happenings! While a lot of wands are made from parts of mythical creatures, this fun, light-weight wand is made out of durable plastic. You can be sure that it will last through all of your years of adventuring!